ochs und junior’s technical expertise is growing! To provide Ludwig Oechslin even more efficient support in realizing new innovations, and to increase our capacity to manufacture individual timepieces and provide fast service, Kevin Hoffmann joined our team on June 1, 2018. 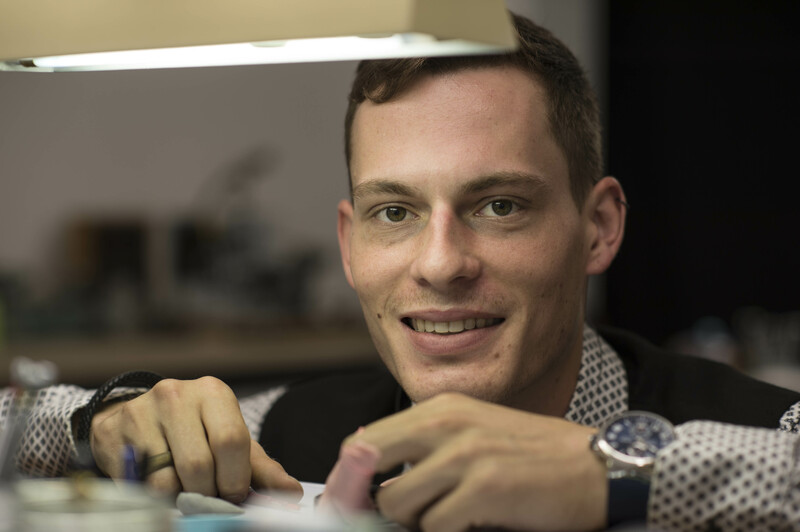 Kevin grew up in Malaysia and the USA and has studied watchmaking at the Grenchen School of Watchmaking, Switzerland. Upon graduation, Kevin worked for our partner Ulysse Nardin SA in La Chaux-de-Fonds, Switzerland. He is thus ideally prepared to handle Oechslin’s constructions, which are based on an Ulysse Nardin Caliber or the ETA 2824. Welcome to ochs und junior, Kevin!